Dads are known to be the fun parent and most women, no matter how old, are daddy’s little girls. 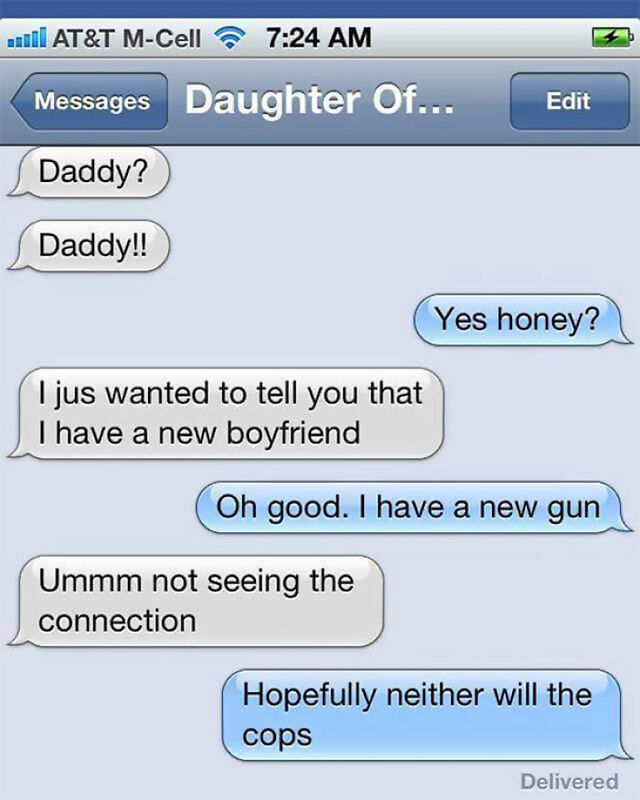 Although, we love our dads, they can be a little overprotective at times, right? They know what is best for you and would hate to see you get hurt which is why they are always looking out for you. And while we know our dads mean well, let’s take a look at 20 hilarious examples of when dads go overboard trying to protect their little girls. 1 Getting ready for my first prom night, so do my father! 3 Very over protective father! 6 I have seen a lot of blankets on reddit today so here is my dad's gift to my younger sister. He calls it the "birth control blanket." 8 Stay Clear Boys, this is my dad! 9 All these rules ultimately means you can't date my daughter! 11 If you make here cry...! 12 Father is always a Father! 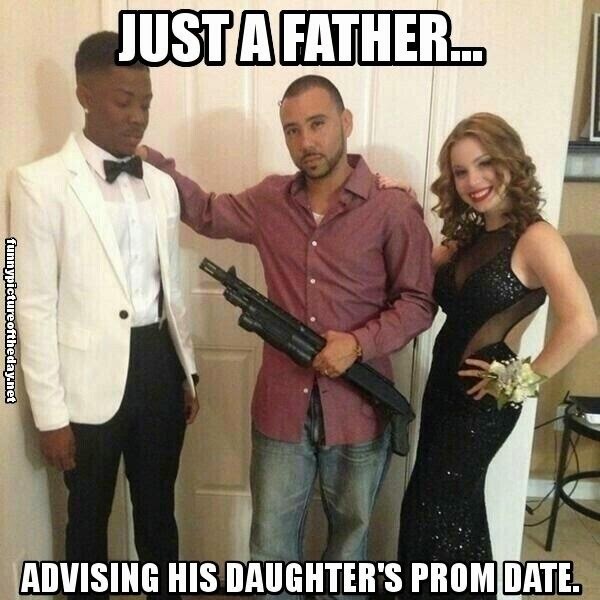 15 No guns on prom night, Dad! 16 Dad has your number now! 19 OMG Dad! Put it away!